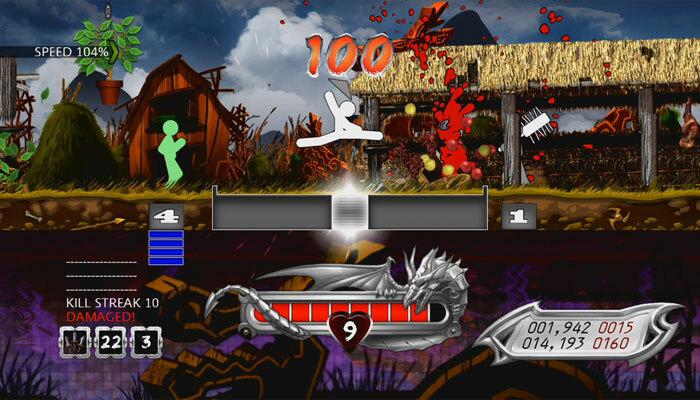 It’s rhythmic stick-death style fighting game. This game uses only two buttons! AS video reviews are back by popular and vehement demand! In this episode, AS Andrew and AS Gabefornow take a look at Silver Dollar Games‘ One Finger Death Punch, which is super extreme! Props to Gabefornow who edited this video. It’s not perfect, but don’t worry; we’re going to figure it out. Give us a little grace while we play with different formats. Did Final Fantasy X’s Tidus really get his name from hepatitis? Why are there so many levels in this game? Find out (or not?) in the video below!